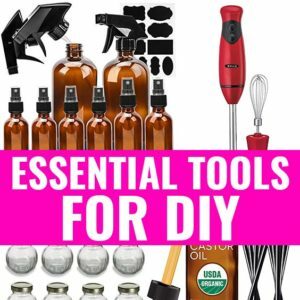 List of Best Essential Oils to Treat Psoriasis & Recipes - beautymunsta - free natural beauty hacks and more! 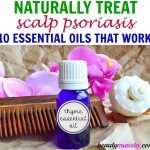 Here’s a list of the 15 best essential oils to treat psoriasis and natural treatment recipes! According to the National Psoriasis Foundation, psoriasis is the most common autoimmune disease in the US – over 7 million Americans are suffering from psoriasis – whether on the face, body or scalp. Psoriasis is a chronic skin condition characterized by red, itchy and scaly patches on the skin. It causes skin cells to grow rapidly, unlike normal skin cells that grow gradually, causing thick white/red patches of skin. Many conventional psoriasis creams do give quick relief to inflamed and painful skin but the relief is only temporary and the problem persists. Using essential oils to treat psoriasis, you can not only get instant relief but also get those dry itchy and scaly patches in control. Note: Please consult your doctor before using essential oils. Avoid essential oils particularly if you are pregnant or breastfeeding. Avoid using essential oils on newborn babies. Always use a test patch on your inner elbow/wrist with each essential oil to see if it’s safe for you. 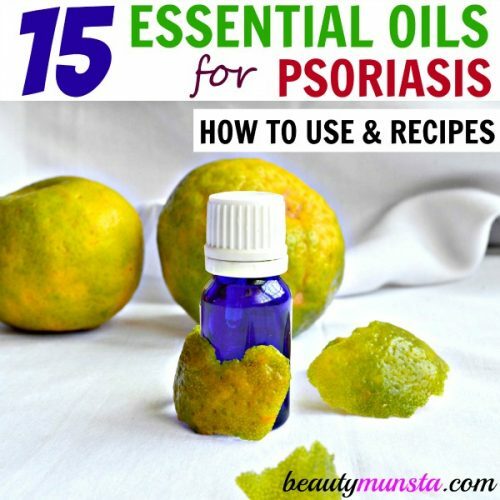 Here’s a list of 15 best essential oils to treat psoriasis and exciting recipes that work wonders in soothing and healing inflamed and painful psoriasis! Bergamot essential oil is one of the most powerful essential oils to treat psoriasis. Being a natural antiseptic, germicide and disinfectant, bergamot essential oil helps ward off germs that can cause infection and aggravate psoriasis. Combined with light therapy, it has been shown to calm flare-ups and reduce psoriasis symptoms. ► Night Time Healing Blend: Fill a small amber glass dropper bottle halfway with jojoba oil, add 3 tsp of sweet almond oil and 10 drops of bergamot essential oil. Shake well to mix. Gently massage a few drops on the affected areas at night time before bed. Oregano essential oil is an incredible antimicrobial, antifungal, antibacterial, anti-inflammatory and antioxidant. It soothes itchiness, inflammation and redness as well as fights off any germs that can infect the psoriasis rashes. The herb oregano can also be consumed in soups to cure psoriasis from the inside out. ► Scalp Psoriasis Oil Massage: In an applicator bottle, combine ½ cup of fractionated coconut oil, 3 drops of eucalyptus essential oil and 3 drops of oregano essential oil. Section your hair and start applying the oil from the applicator bottle. Use your fingertips to gently massage the healing oil blend into your scalp. Leave it on for at least 2 hours. Then wash your hair as usual, preferably with a gentle non-sulfate shampoo. Scent Profile: Rich, earthy, woody aroma with a nearly hidden fruity note. Extracted from patchouli leaves by steam distillation, patchouli essential oil is effective for treating dandruff, itchy scalp issues and inflammatory skin conditions like rosacea, eczema and psoriasis. ► Healing Blend: In an applicator bottle, combine 5 to 7 drops of patchouli essential oil in ½ cup of apricot kernel oil. If there’s a number one essential oil for all skin problems, it’s got to be lavender essential oil! This essential oil, extracted through steam distillation of lavender flowers, contains linalool and linalyl aldehyde: two powerful compounds that inhibit inflammation and reduce pain associated with psoriasis. ► Relaxing Lavender Oatmeal Bath: Run a warm bath, throw in a handful of colloidal oatmeal, ¼ cup of dead sea salt and 3 to 5 drops of lavender essential oil. Soak in it for at least 25 minutes to soothe painful, itchy and inflamed psoriasis. A powerful antiseptic, tea tree essential oil fights off germs that can cause infection in the affected skin. Psoriasis patches are often very itchy and wounds easily form from excessive scratching. Tea tree essential oil helps protect the patches from infection due to its germicide and bactericide properties. ► Cotton Ball Application: Place a few drops of tea tree essential oil on a cotton ball and press it on the psoriasis patches to disinfect and sooth the itchy and painful area. Having an overall balancing effect on the body, geranium essential oil is extracted from the leaves and stalk of the geranium flowering plant. This sweet smelling essential oil can be used to reduce inflammation and regulate sebum production which helps heal extremely dry psoriasis patches. ► Geranium Gel: Place 4 tbsp of aloe vera gel in a small glass jar. Mix in 5 to 7 drops of geranium essential oil. 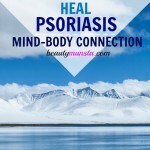 Apply on the psoriasis to seal in moisture and cool down the inflammation. Peppermint essential oil is rich in menthol, which gives helps numb the pain and take away the itchiness of the psoriasis patches. ► Cooling Spritz: Fill a spray bottle with 1 cup of distilled water and add 5 to 7 drops of peppermint essential oil. Shake well and spritz on the itchy and painful lesions for a cooling relief. Native Americans used this woody scented essential oil to treat skin rashes, arthritis and other skin conditions. Cedarwood essential oil is most effective for dry and itchy skin conditions including dandruff, eczema and psoriasis. ► Itchy Psoriasis Rash Treatment: In a dark amber glass dropper bottle, combine ¼ cup of evening primrose oil, ¼ cup of olive oil and 10 drops of cedarwood essential oil. Apply a liberal amount of this blend on the itchy psoriasis rashes at night time. Though most popularly known for its scar healing ability, helichrysum essential oil is also among the best essential oils to treat psoriasis. It is an incredibly powerful anti-inflammatory essential oil which helps decrease psoriasis associated inflammation. ► Roll-On Recipe: Fill a 10ml roll-on bottle with borage seed oil and add 3 to 5 drops of helichrysum essential oil. Shake well. Gently roll on the scaly skin to lock moisture, soothe and get instant relief. Frankincense essential oil is one of the cure-all essential oils – it heals a variety of health and skin problems including psoriasis. It contains antiseptic, antibacterial, antioxidant and anti-inflammatory properties as well as moisturizes dry psoriasis patches. ► Direct Application: Using a dropper, apply a few drops of frankincense essential oil onto the affected areas and gently massage it in. Leave it to soak for at least an hour. Sandalwood essential oil is another one of the best essential oils to treat psoriasis because it helps seal moisture in dry skin and softens scaly psoriasis. It’s also a germicide and has potent anti-inflammatory properties that help soothe psoriasis. ► Soothing Sandalwood: In a small mason jar, add about 4 tbsp of coconut oil and 5-7 drops of sandalwood essential oil. Mix well with a spatula. Apply this onto the psoriasis rashes to soothe and calm. Chamomile essential oil is soothing and calming just like lavender essential oil. 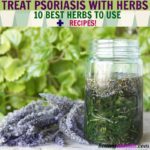 It’s also especially good for treating dry and itchy skin which makes it one of the best essential oils to treat psoriasis naturally. ► Cooling Chamomile Cream: Soften 2 ounces of raw shea butter using a double boiler. Don’t melt. Once soft enough, transfer to mason jar and add 10 drops of chamomile essential oil and 7 drops of peppermint essential oil. Stir well with a spatula and store in a clean place. Use clary sage essential oil to cool down itchy and inflamed psoriasis. It is a powerful anti-inflammatory and antiseptic which helps reduce inflammation and redness. ► Clary Sage Compress: To soften the scaly skin and reduce inflammation, use a hot compress. Fill a bowl with 2 cups of hot water and add 3-5 drops of clary sage essential oil. Soak a wash cloth, wring and apply it on the affected areas. Repeat until the water turns cold. After the compress, moisturize with coconut oil.